It’s like MiddleEasy but for your ears. 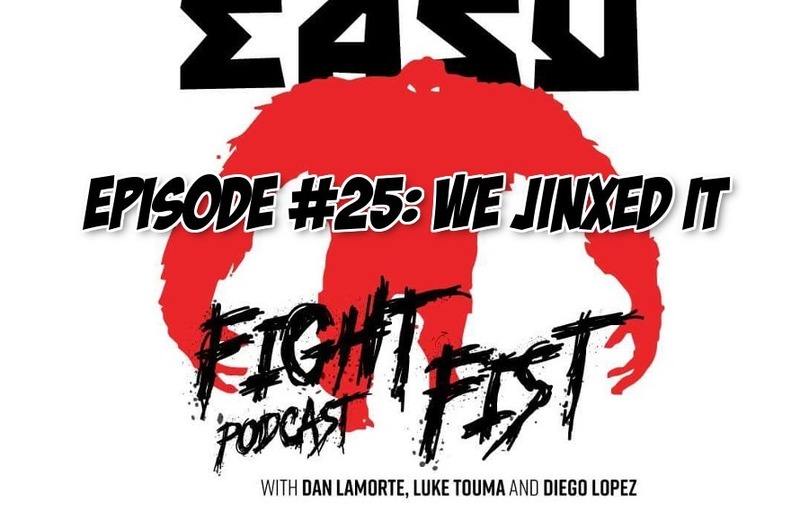 Thanks to comedians Dan LaMorte, Luke Touma and Diego Lopez episode 25 of MiddleEasy Fight Fist Podcast is here. Welcome back Fisters. Thanks as always for tuning in. This weeks episode is just Dan and Diego sitting in the car talking MMA and life. To be specific we talk UFC 226, more specifically we jinx UFC 226. We make predictions, we talk dating, we ramble about MMA. It’s what we’re good at. Leave a 5-star review if you haven’t!